Ginger – a great Chinese ingredient that warms the digestion and is proven to aid digestion. You can use it as a tea (buy fresh ginger root, cut a few thin slices and steep it in boiling water for a few minutes. Add honey if you need to), or grate some over whatever you’re cooking. Great for warming the Yang, your internal fire. Any hot spice – red or black pepper, cayenne, chili, curry, cinnamon, nutmeg. Any warming spice or herb will actually warm your digestion and help to warm the body. Avoid salads – Yes folks the Chinese have a different take on salads. Raw food is very hard on digestion and raw salads are very “cold”, especially with things like tofu, raw broccoli, etc. Poor digestion! At least steam all your food for a few minutes before eating. It breaks down the food to aid digestion, and will help to warm your yang. Avoid icy drinks, especially in winter. Ice in a soda in January. That’s just asking for trouble. Room temperature is best, or warm tea. Red meat is warming, very yang. In moderation of course. Lamb is considered the warmest meat. Good for building your blood too. Lamb curry – double the heat! There it is. A few quick tips for warming those of you who remain cold on these gorgeous hot June days. My sister is one of them, layered up year round! Hopefully you’ll find some helpful tips to melt the chill and feel your inner fire rekindled. Good night! I woke up at 5am today to meet a client at my office for a 6am treatment on the way to her retrieval in NYC. For those of you not involved in fertility treatments, this means they were taking out her eggs. Though in the end, it was egg, singular. She was so disappointed. Crushed really. This is her 8th IVF attempt. She is 43. She is wonderful and hilariously funny and she and her husband are so sweet. I have seen so many people in the past 5 years of giving fertility acupuncture treatments, and by the grace of whoever gives grace, almost all have ended up pregnant. But my heart aches when I see someone really struggle for a long time, not that I’ve known her long, she had never had acupuncture before a few weeks ago. I wish I’d had more time with her. But who knows, maybe this one egg will be her fighter and she’ll get pregnant. I have seen that happen. And in case that soudns discouraging, I had a client last year who had had many failed IVF cycles, maybe 7, she was in her 40s, the doctors told her to give up and go for a donor egg. She said her heart told her to try one more time and she did. She now has a 3 month old son! Then later in the day I saw a woman who got pregnant on her first IVF cycle. Sailing through her pregnancy. It is all such a mystery. Yes there is medication, and acupuncture, and herbs, and diet and visualization and I believe so deeply that they all work together to help this miracle along. But really in the end, it is a mystery, like life itself. Here’s a suggestion of the day for those readers (anyone, anyone?) going through ART. It’s a CD that I love and that I suggest to all my fertility clients. It’s by Bellaruth Naparstek and her website is http://www.healthjourneys.com. She has guided imagery and meditations on all different things, but there is one for fertility that I just love. Sometimes in the thick of it it is not only hard to relax (to put it mildly) but also to stay positive. She does the work for you – with a sweet, wise voice she guides you through a wonderful relaxing CD. Such a good investment, and not expensive, as it is full of great images and positive energy. Here’s a great way to help take care of your body naturally – acupuncture has been around for over 2,000 years, possibly as long as 5,000 years. 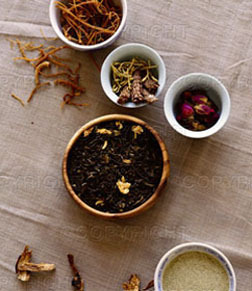 Traditional Chinese Medicine (TCM) is based on the idea that the body is full of energy, or Qi (chee). When the Qi is in balance, there is health. When the Qi is out of balance, there is illness. Qi is made up of Yang Qi – the warm, bright, active energy, and Yin Qi – the cool, dark, still energy. Keeping these energies in balance is what keeps the body in health. Qi is kept strong and vibbrant through eating regular, healthy meals, breathing healthy air, getting moderate (though not super hard American style) exercise, and not living with too much stress and overwork. Not easy in our modern American life. But when our bodies do get out of balance, acupuncture and Chinese herbs can help restore it by shifting the energies, strengthening some parts of the Qi, and taking away excess from others. Acupuncture and Chinese Herbs restore the body to balance so that it can heal itself. Here are 5 important acupuncture points you can use to treat yourself at home. Stomach 36 – located below the knee, about 3 inches below the little depression in the outer side of the knee. About1 inch to the side of the shin bone. This is one of the most important points on the body. It is very important for overall health and it is believed in China that every person over 50 should press this point every day. It has been shown to lower blood pressure. It has also been proven to boost immunity by actually boosting the white blood cell count in the body. It helps treat digestive problems including constipation, gas, gurgling stomach. And is good for raising your energy level. Overall it would be beneficial to everyone to press on this point every day. LI4 – located on the hand in the center of the web between the pointer finger and the thumb. It will feel tender when you press on it. LI4 is excellent for pain anywhere in the body. It is even used in China during surgical procedures to lessen the amount of anesthesia needed! It is good for treating arthritis pain, toothaches, headaches, and stress. Liver3 – located on the foot at the tender spot just below the web of the big toe and the toe next to it. When pressed together with LI4 this combo is called the 4 Gates. It is believed to open the gates of all the body’s energy so it can flow freely and restore balance. It is good for treating migraines, stress, acid reflux and digestive problems caused by stress. Spleen 6 – located on the inner side of the lower leg. About 3 inches above the inner ankle bone, just at the lower edge of the shin bone. An extremely important point for digestion, boosting energy, nourishing the blood, and overall health. Helps heal fatigue, gas, IBS. Also helps stop a mind that is always worrying and helps allow deeper more restful sleep. Yintang – located between the eyes, in the center of the space between the eyebrows. All about relaxation. A very powerful point. Press this point, take a deep breath and relax! There are over 500 acupuncture points on the body. While it’s not the same as a professional acupuncture treatment, you can help your body in many ways by practicing acupressure on yourself. Look up a book on TCM and start to explore the many possibilities of healing yourself naturally! Being told you are infertile is one of the most devastating things a couple can hear. 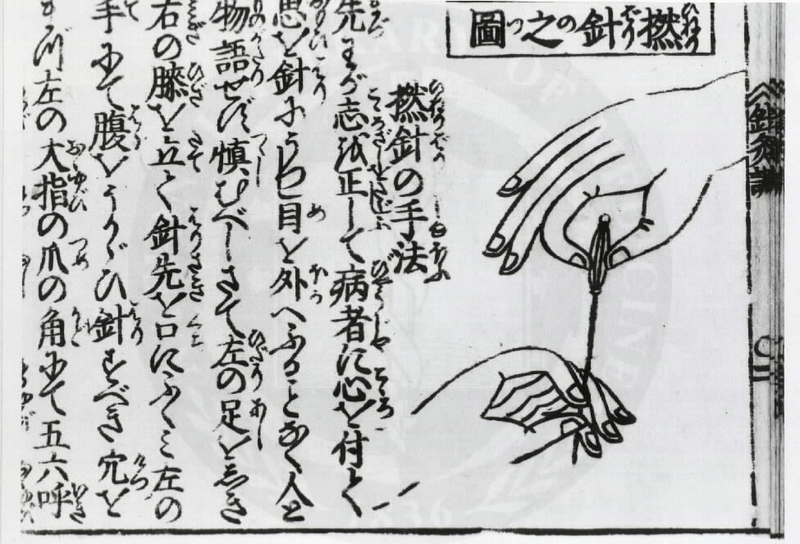 As an acupuncturist in practice for over 10 years, I have sat with many women as they recount their letters and numbers: FSH, LH, number of follicles, estrogen levels, etc. Western medicine offers miraculous opportunities to couples dealing with fertility struggles, but it is a stressful, difficult process, hard physically and emotionally. Acupuncture offers something unique: a different perspective. First of all, I never use the word infertile. So few people are truly infertile, meaning incapable of ever having a baby. Most people face fertility challenges. May sound like I’m just trying to be PC but I’m not. Words are powerful, and our beliefs about ourselves are powerful and telling a woman she is infertile is a horrible label that can send a woman into depression or high stress which alone can hamper her chances of getting pregnant. Chinese medicine looks at a body’s physical age, not primarily the chronological age. That means a heavy smoker with a bad diet and history of drinking might be “old” at 29 whereas many women today who eat well, exercise and manage their stress are “young” at 40. The perspective in Chinese medicine is holistic – the body works as a whole, the hormones, fallopian tubes, uterus, they are effected by all the other systems and cells in the body, and vice versa. When the ovaries of older mice who had stopped ovulating were placed in a young mouse, they started to produce eggs again. It is not just that we need to fire chemicals at the ovaries, we need to nourish and strengthen the whole woman, or man, to encourage fertility. Western medicine and Assisted Reproductive Therapy (ART) have so much to offer and they help thousands of families every year to start families that were once not possible. I have a lot of respect for Western medicine. But I do deeply believe that the mind, body and spirit must all be treated in order to have a healthy happy fertile body, and that is where acupuncture is invaluable. Acupuncture has been shown to improve the success rate of in vitro fertilization by up to 40%, a staggering number. It is also the only therapy that has been shown to increase the thickness of the uterine lining, also extremely important for pregnancy. It can regulate the hormones and hence help regulate the menstrual cycle, also key in getting pregnant. But it works on another level too. Acupuncture helps the patient relax, it helps the body release hormones associated with deep relaxation. And this allows the body to function so much better all on it’s own. Stress is a fertility crusher. Allowing the body to relax is so important as it allows the body to do what it is designed to do, be healthy, be in balance and function. There are other important contributions that Chinese medicine makes to fertility treatments including guidelines on diet therapy, food that are thought to enhance fertility, herbs that can regulate hormones and stress levels. And even Qi Gong and meditation exercises that can have a real impact on how a person feels, and how well their body functions. But perhaps most of all, I love that Chinese medicine is positive, it is hopeful, it is empowering to the woman, to the couple. It says, ok you’re 40, so what? Let’s get you to the healthiest most rich and fertile place possible for your body. You may be doing ART while getting acupuncture and that’s wonderful, the two work so well together, but here is what you can do to really boost your chances of success and it doesn’t involve needles or drugs or charts. It involves holistic healing, herbs, whole food, and mindfulness. And that is a gift. 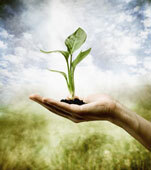 An ancient gift that can help support our modern ways of helping mother nature to create a miracle, the miracle of life.